Saskatoon Limo Airport Shuttle by Limelight Limos will not only make your transportation to and from the Saskatoon Airport easy and convenient but most importantly we will make it a ton of fun! All you have to do is pack, book your limo and wait for it to arrive. Limelight Limo has an amazing special for our Martensville and Warman clients. For just $99 you can book a limo to pick up you, your luggage, your family and your friends and take all of you to the Saskatoon airport. That’s the same cost as a cab and definitely much more fun. Sometimes figuring out the logistics of getting to and from the airport can be tougher than planning your holiday. If you have a large group making transportation plans can be even more difficult. Add to that the fact that booking a van to bring your group and luggage can cost well over $100. This is where Limelight Limos can help. We want your holiday to start off right, in one of our limos. 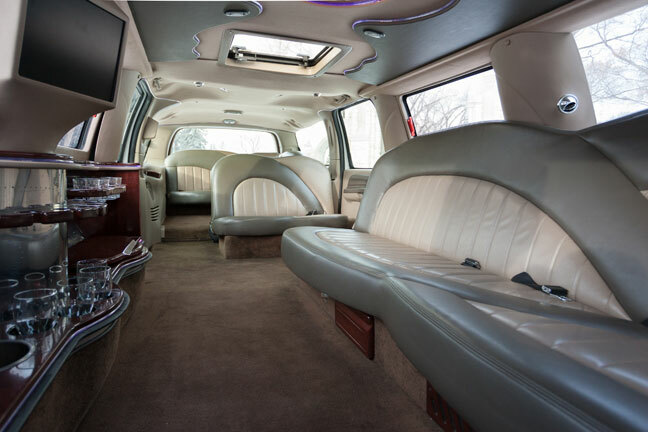 Get your holiday started the moment you leave your house by steping inside one of our luxurious limos. Set the atmosphere you want by playing your favorite music. The kids will be too busy being in awe of the limo that you won’t have to hear them fighting in the back. That sure beats a cab! And most likely more economical too. $99 limo shuttle services are on special for all Warman and Martensville groups. Divide $99 by 14 people and that is just $7/person. Just imagine the looks when your group pulls up at the Saskatoon Airport in a Limelight Limo. People will think you are famous!!! Not only will Limelight Limos pick you up and take you to the Saskatoon Airport but we can also pick you up upon arrival. The drive home from the airport is exhausting so why not continue the holiday and relax in a limo while Limelight takes care of the driving. Cabs are difficult to find outside of the YXE airport while leaving you car at the airport can get expensive. Not to mention how cold your car will be when you get home from Mexico in the dead of winter. Picking someone up from the airport? Rather than pick them up in your car make them feel special by showing up in a limo. Kick your visit off to a fantastic start by riding in the back with your guests while enjoying a catch-up visit, some tunes and maybe even a drink. Most of all show your company how happy you are to see them. Don’t worry if you can’t make it to the airport to meet them, Limelight has got you covered. Limelight will take extreme care of your guests. In fact, you are going to have to up your hosting game so they aren’t disappointed after experiencing the comfort and luxury of one of our limos complete with one of our incredible drivers.